The matter of Western Export Services Inc v Jireh International Pty Ltd  HCA 45 was an application for special leave in the High Court of Australia. The matter concerned the construction of a letter of agreement concerning the Gloria Jeans franchise. The issue on appeal was a leading decision by Macfarlan JA in the New South Wales Court of Appeal to the effect that a court should not disregard unambiguous language in an agreement even where to do so would result in a more commercial operation of the agreement. The true rule is that evidence of surrounding circumstances is admissible to assist in the interpretation of the contract if the language is ambiguous or susceptible of more than one meaning. But it is not admissible to contradict the language of the contract when it has a plain meaning. Generally speaking facts existing when the contract was made will not be receivable as part of the surrounding circumstances as an aid to construction, unless they were known to both parties, although, as we have seen, if the facts are notorious knowledge of them will be presumed. "A court is not justified in disregarding unambiguous language simply because the contract would have a more commercial and businesslike operation if an interpretation different to that dictated by the language were adopted." "to have acted on the basis that the provision would make more sense from a commercial point of view"
if it were construed as the primary judge did construe that provision. These statements by Macfarlan JA since have been applied by the New South Wales Court of Appeal in Miwa Pty Ltd v Siantan Properties Pte Ltd.
2. The primary judge had referred to what he described as "the summary of principles" in Franklins Pty Ltd v Metcash Trading Ltd. The applicant in this Court refers to that decision and to MBF Investments Pty Ltd v Nolan as authority rejecting the requirement that it is essential to identify ambiguity in the language of the contract before the court may have regard to the surrounding circumstances and object of the transaction. The applicant also refers to statements in England said to be to the same effect, including that by Lord Steyn in R (Westminster City Council) v National Asylum Support Service. 3. Acceptance of the applicant's submission, clearly would require reconsideration by this Court of what was said in Codelfa Construction Pty Ltd v State Rail Authority of NSW by Mason J, with the concurrence of Stephen J and Wilson J, to be the "true rule" as to the admission of evidence of surrounding circumstances. Until this Court embarks upon that exercise and disapproves or revises what was said in Codelfa, intermediate appellate courts are bound to follow that precedent. The same is true of primary judges, notwithstanding what may appear to have been said by intermediate appellate courts. 4. The position of Codelfa, as a binding authority, was made clear in the joint reasons of five Justices in Royal Botanic Gardens and Domain Trust v South Sydney City Council and it should not have been necessary to reiterate the point here. 5. We do not read anything said in this Court in Pacific Carriers Ltd v BNP Paribas; Toll (FGCT) Pty Ltd v Alphapharm Pty Ltd; Wilkie v Gordian Runoff Ltd and International Air Transport Association v Ansett Australia Holdings Ltd as operating inconsistently with what was said by Mason J in the passage in Codelfa to which we have referred. 6. However, the result reached by the Court of Appeal in this case was correct. Further, even if, as the applicant contends, cl 3 in the Letter of Agreement should be construed as understood by a reasonable person in the position of the parties, with knowledge of the surrounding circumstances and the object of the transaction, the result would have been no different. Accordingly, special leave is refused with costs. The matter of Ange v First East Auction Holdings Pty Ltd  VSCA 335 was an appeal in the Victorian Supreme Court of Appeal before Neave and Tata JJA and Sifris AJA. The questions for the Court of Appeal concerned whether a fee payable on withdrawal of art from an auction was payable or not, including whether the fee was unenforceable as a penalty. The Court of Appeal considered the question of whether a fee can be a penalty even when a breach had not occurred. That is, if a large fee is charged in the normal course of the contract, such as where a withdrawal fee is charged, can it be unenforceable as a penalty? The Court of Appeal held that it could not. 85 The trial judge held that clause 11 of the Agreement, which provided for the imposition of a withdrawal fee, was not an unenforceable penalty because the doctrine of penalties only applies to contractual terms requiring payment in the event of breach. According to Export Credits Guarantee Department v Universal Oil Products Co, AMEV-UDC Finance Ltd v Austin and more recently, Interstar Wholesale Finance Pty Ltd v Integral Home Loans Pty Ltd, a term imposing an obligation to pay money on the occurrence of a specified event, other than breach, is not a penalty. 86 The trial judge held that since clause 11 of the Agreement did not provide that withdrawal of an item from auction constitutes a breach, the doctrine of penalties had no application to the term requiring payment of a fee for withdrawing an item from auction. His Honour considered that the distinction between the two types of clauses was firmly established in the case law and it was not open to a judge at first instance to apply the penalty doctrine to the withdrawal fee term in these circumstances. 87 Grounds 3, 4, 5 and 6 of the Amended Notice of Appeal are directed towards the trial judge’s finding that clause 11 was not void as an unenforceable penalty. Mrs Ange contends that the trial judge erred in law in finding that the clause was not void as an unenforceable penalty, failing to find that clause 11 took effect upon breach, failing to find that withdrawal of the paintings by Mrs Ange was in breach of the Agreement and failing to find that the law of penalties was not limited to breaches of contract. 88 The submissions for Mrs Ange on the penalty issue centred on the correctness of the decision in Interstar. In that case, a judge of first instance in the New South Wales Supreme Court held that the doctrine of penalties extended beyond a term providing for the consequences of a breach of contract. The decision of Brereton J was subsequently reversed by the New South Wales Court of Appeal. After examining the conflicting authorities, Allsop P (with whom Giles and Ipp JJA agreed) held that the better view was that the payment complained of must be conditioned on a breach of contract. 89 In written submissions, counsel for Mrs Ange submitted that the Court should find the approach taken by the New South Wales Court of Appeal was plainly wrong and that the reasoning of the primary judge in the matter should be preferred. However, at the hearing of the appeal, Counsel properly acknowledged that the Court of Appeal’s decision was not plainly wrong. He did not abandon the point, but rather suggested that it was a matter that should be dealt with by the High Court (if necessary), rather than an intermediate appellate court. 90 Counsel for Bonhams submitted that there were compelling reasons for following the decision of the Court of Appeal in Interstar and that this Court should not depart from the practice of following the decision of another State’s appellate court on a common law principle. 91 The current state of the law in Australia is that a term of a contract that imposes an obligation on a party to pay money on the happening of a specified event which is not a breach of contract does not constitute a penalty. Primarily, this is because it is not the role of the court to relieve a party from a bad bargain. In my view, the expression of view by the primary judge that the doctrine of penalties (distinguished from relief against forfeiture) in the common law of Australia (using that expression to mean, relevantly here, the general law encompassing common law and equity) was not limited to circumstances of breach of contract was not open to his Honour. The intermediate appellate authorities in Australia, the persuasive view of a unanimous House of Lords, existing High Court authority and other views expressed in the High Court constrained the primary judge (and constrain this court) to limiting the application of the doctrine of penalties to circumstances of breach of contract. If a wider doctrine is to be enunciated in the form of that appearing in  of his Honour’s reasons, it is for the High Court of Australia to enunciate it. This is so not least because of the need to resolve the views of a number of justices of the High Court, including but not limited to a majority of the court in IAC (Leasing). 93 The decision of Allsop P is, with respect, careful, considered and comprehensive. The paragraph referred to above clearly represents the present state of the law. It is also consistent with the approach followed by the Full Court of the Supreme Court of South Australia in Diakos v Mason. 94 Accordingly, it is not for this Court to determine that the jurisdiction to set aside a term as a penalty extends to circumstances beyond a breach of contract. 95Grounds 3, 4, 5 and 6 are therefore not made out. I know that reliance is being placed on this decision in ANZ Bank class action in the Federal Court of Australia, because the plaintiffs to that class action are alleging that the doctrine of penalties extends beyond a breach. That is, to the extent that overdrawing, dishonouring, etc is not a breach by the customer, then the fees charged by ANZ are penalties in any event. It will be interesting to see the outcome of the ANZ class action in light of the decision in Ange. Cyclingnews revealed this morning that Floyd Landis, the disgraced cyclist who was stripped of the 2006 Tour de France winner's yellow jersey, has been convicted of receiving documents from the hacking into a French drug laboratory's computers. Apparently Landis was charged with ordering the hacking, but he was convicted of a lesser charge and received a 12 month suspended sentence. This all came about in an attempt by Landis to defend himself against allegations of doping from a test during the 2006 Tour de France which resulted in him being stripped of the title. Floyd Landis has been convicted in a French court on charges he obtained documents that had been hacked from the computers of a French laboratoyr and given a suspended jail sentence. The once 2006 Tour de France champion was charged with ordering the hacking into computers of a WADA-accredited lab, but was found guilty only of receiving the hacked documents after prosecutors could establish no link between the cyclist and the confessed hackers. He could have been handed an 18 month sentence but was given 12 months. Last year Landis was issued with an arrest warrant but remained in the US. Landis tested positive for testosterone during the 2006 Tour de France. His doping controls were handled by the Chatenay-Malabry laboratory. In November 2006, the lab reported that its computer systems had been infected with a "Trojan Horse" virus, which was used by someone to access the lab's confidential documents. The lab said that data had been removed or changed, allegedly in an attempt to discredit the work of the organisation. An email carrying the virus was alleged to have been sent from a computer with the same IP address as that of Landis' coach Arnie Baker. Both Landis and Baker denied any involvement in the hacking, but authorities maintain that the pair made use of pilfered documents in Landis' defense argument. The investigation by the French Interior Ministry in 2009 led to the arrest of a French national living in Morocco named Alain Quiros, who confessed to hacking into the lab, according to the New York Times. He said he'd been paid several thousand euros to hack into the AFLD computer as well as several other European corporations including Greenpeace France - the hacking scheme was instigated by a former French intelligence agent Thierry Lorho, head of Kargus Consultants. Lorho reportedly handed off the data lifted from the lab computer to a man named Jean-François Dominguez, who then delivered it to another person who has not yet been identified. The confidential data then made its way to the news media and was used by Landis and Baker to form the basis of his defense against charges of doping. Last spring, the French subpoenaed Landis and his coach Arnie Baker to travel to France and testify on this matter. Neither of them went to France. The most awful thing about the Landis matter was that he set up the 'Floyd Fairness Fund', which was a fund to defend himself against the doping allegations. Many contributed to this fund. He later admitted to extensive doping. The Supreme Court of Victoria has issued Practice Note 9 of 2011 concerning citation of judgments, including electronically sourced judgments. Practice Notes No 3 of 2004 and No 1 of 2006 are hereby revoked. Where a judgment is reported in an authorised series of law reports, all references and citations must be to, and any copy provided to the Court must be a copy of, the authorised report. Where a judgment is not reported in an authorised series of law reports but is available electronically, reference must be made to its medium neutral citation. Reference may also be made to any report in an unauthorised series of reports. Any copies of judgments provided to the Court which are printed from an electronic source must be printed from the Rich Text Format (RTF) or Portable Document Format (PDF) of the judgment where available. 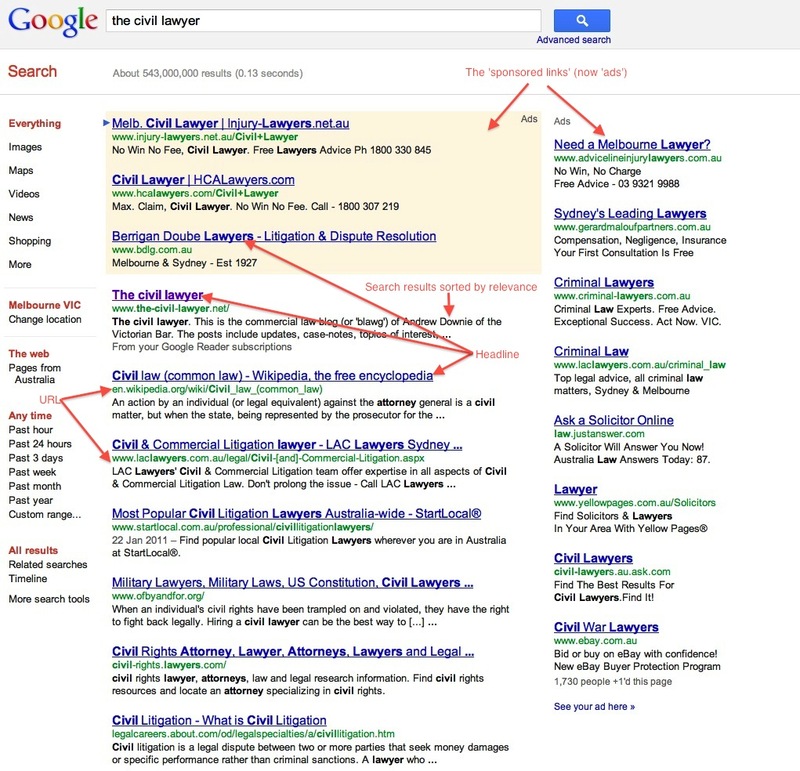 Judgments delivered in Australia are generally available in one or both of these formats, with a medium neutral citation, on various websites including the Australasian Legal Information Institute at: www.austlii.edu. Click on the link to view the judgment. 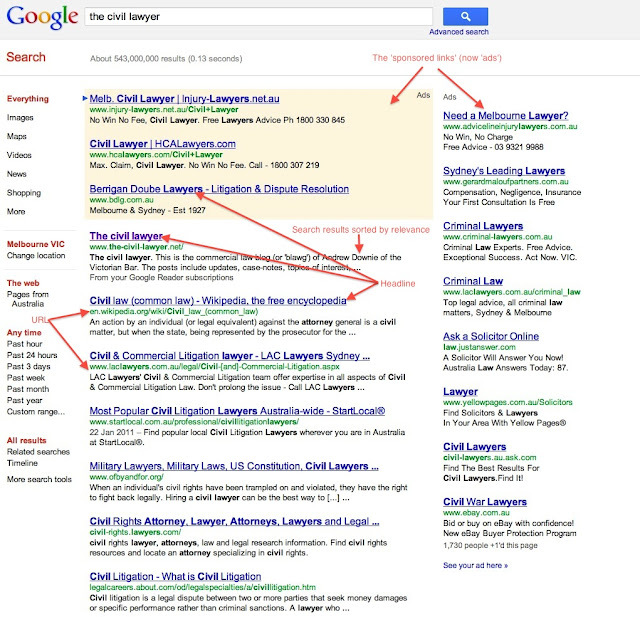 Choose the “Download” option in the toolbar above the case citation. Click on the “Rich Text Format (RTF)” or “Portable Document Format (PDF)” hyperlink below the heading “Available Data Formats”. Print the document and provide in this format. Where a judgment is not reported in an authorised series of law reports and is not available electronically with a medium neutral citation, references and citations may be to, and any copy provided to the Court may be from, an unauthorised series of law reports. If a party intends to rely upon a judgment which is not reported in an authorised or unauthorised series of law reports and is not available electronically, a copy of this judgment must be provided to all other parties, and to the Court, as soon as it is reasonably practicable to do so. A copy of a judgment provided to the Court must be printed in portrait, as opposed to landscape, orientation. Copies must not be provided in a reduced size. Smith v Jones (2010) 28 VR 415, 420 -. Smith v Jones  VSCA 14,  (medium neutral citation, where 14 is the number of an unreported judgment of the Court of Appeal and 56 is the paragraph in which the cited passage is found). Reading between the lines, part of the Practice Note suggests that the Court is unhappy with the practice of being provided with screen prints from AustLII and other electronic resources, which is understandable. The Practice Note otherwise reflects the ongoing position that authorised reports are preferred over unauthorised reports. Expert reports - how important is it that the expert has read the code of conduct? Rule 44.03 of the Supreme Court (General Civil Procedure) Rules 2005 concerns the instructing of experts to give evidence in a trial, and sets out what matters must be in that expert's report if a party intends to adduce evidence from that expert. Rule 44.03(1) requires the provision of the Form 44A code of conduct to the expert 'as soon as practicable after the engagement of the expert and before the expert makes a report under this Rule'. Rule 44.03(2)(b) requires the expert, in its report, to acknowledge that he or she has read the code of conduct and agrees to be bound by it. There seems to be a paucity of authority in Victoria concerning the admissibility of expert reports for failure to read the code before authoring the report. However the New South Wales Supreme Court has dealt with this issue in great detail. (1) An expert witness must comply with the code of conduct set out in Schedule 7.
must provide the expert witness with a copy of the code of conduct. (3) Unless the court otherwise orders, an expert’s report may not be admitted in evidence unless the report contains an acknowledgment by the expert witness by whom it was prepared that he or she has read the code of conduct and agrees to be bound by it. (4) Unless the court otherwise orders, oral evidence may not be received from an expert witness unless the court is satisfied that the expert witness has acknowledged, whether in an expert’s report prepared in relation to the proceedings or otherwise in relation to the proceedings, that he or she has read the code of conduct and agrees to be bound by it. The New South Wales rules are certainly more prescriptive than the Victorian Rules when describing the effect of non-compliance on the admissibility of the evidence referred to in the report. However when a Victorian Court is faced with a similar issue of non-compliance, it is likely to be persuaded by the decisions in the New South Wales Supreme Court. Barak v WTH  NSWSC 649 - an expert was called to give evidence in circumstances where his report did not state that he had read and agreed to be bound by the code of conduct. The expert was cross examined and said he was aware of the code and had read it before making the report and in making the report he sought to comply with the code. Barrett J admitted the evidence stating at  'the intent of the rule of ensuring that only reports by experts who have proceeded in accordance with stated norms of conduct should be relied upon can be seen to be satisfied'. Commonwealth Development Bank of Australia Pty Ltd v Claude George Rene Cassegrain  NSWSC 1314 - an expert who had not acknowledged having read or agreed to be bound by the code gave evidence that he adhered to the evidence in his report having regard to the obligations imposed under the code, but there was no evidence that he had read and considered the code before he prepared his evidence. Einstein J rejected the report saying at  the 'Expert Witness Code of Conduct was promulgated with the clear intent that only reports by experts who have proceeded in accordance with the stated norms of conduct, should be relied upon and may be admitted into evidence'. United Rural Enterprises Pty Ltd v Lopman Pty Ltd  NSWSC 870 - an expert had not been given a copy of the code before preparing his report but was given it when he swore his affidavit. In that affidavit the expert said that his report complied with the code and he undertook to be bound by it. Campbell J pointed to the risk that an expert might form an opinion without appreciating the full extent of his obligations, but might find it difficult to retreat from or qualify that view upon a full consideration of those obligations. Because there was no real risk that the Court would be misled or the opposite party prejudiced, Campbell J admitted the report. Investmentsource v Knox Street Apartments  NSWSC 1128 - the defendant sought to rely on a report prepared before the litigation which provided a valuation of a property which was prepared without reference to the code of conduct. McDougall J considered it was a business record under s69 Evidence Act, but that it was excluded under the rules because, amongst other things, the expert did not prepare his report with a conscious appreciation of the obligations imposed by the relevant code of conduct. CJD Equipment v A & C Construction  NSWSC 1085 - a report by an expert did not contain an acknowledgement of having read the code, but in a later affidavit of the expert that expert said that the report had been prepared in accordance with the code. McDougall J admitted the report, but warned (at ) that the Court was not condoning any practice of ex post facto adoption of the requirements of the code. Tim Barr Pty Ltd v Narui Gold Coast Pty Ltd  NSWSC 49 - an expert prepared a report which was sought to be tendered in evidence. In the report the expert did not acknowledge the code or agree to be bound by it as the report was prepared before the litigation. Once again referring to quality control issues, Barrett J rejected the report for the particular purpose sought, although the Court partially admitted the report for another limited purpose. It is likely that a Victorian Court will be guided by s135 Evidence Act 2008 (Vic) when faced with an issue of non-compliance, as there appears to be no express rule dealing with the rejection of expert evidence because of a non-compliant report. The considerations are likely to be those discussed in the New South Wales cases above. I've been invited to be on a panel to address a group of interested barrister and solicitors over the benefits of social media to the profession. The seminar is on Tuesday 8 November 2011 at 5.15pm at Pitcher Partners in Melbourne. 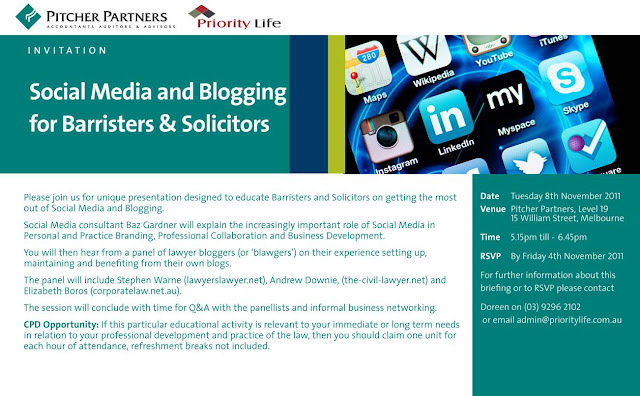 I'll be there with Stephen Warne (www.lawyerslawyer.net) and Elizabeth Boros (corporatelaw.net.au). We'll be speaking about our blogs, including how we set them up, how we maintain them and what benefits we get out of them.